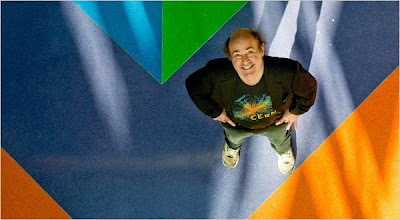 Frank Wilczek gave an interview to the New York Times here. In it he mentions experiments will be run at the LHC regarding Quantum Chromodynamics, for which he co-won the 2004 Nobel Prize in Physics, as the article states. Well, of course there will be QCD experiments run at the LHC. QCD is all about the inside of the Atomic Nucleus, about the inside of Protons and Neutrons themselves, about Quarks and the Strong Force and their force bosons: Gluons. You don't smash protons into protons withOUT learning much about QCD. Indeed, proton train wrecks are how we gained the data that provided QCD to be developed in the first place. As an aside, here's a big shoutout to Ernest Rutherford. One hundred years ago this year he discovered the Atomic Nucleus via experimentation. Awesome work. Also from the interview, something interesting and of note, is a novel Wilczek is working on his spare time regarding four people who discover something Nobel Prize-winning worthy, but Alfred Nobel's will (I think it was Nobel's will, if not it's just policy) allows for only three individual winners for any one award. Although the article doesn't mention it, could that reflect on Frank's award? Although he won the 2004 NPP along with David Gross and my Slovak-American cousin Hugh David Politzer, I'm curious if any of you know how close Gerardus 't Hooft and Sid Coleman were considered for the same award. Thanks in advance. And darn it if that article doesn't make me want to explore the latest work in Axions. How's that going? I absolutely do NOT have a problem with Frank, Phil, indeed quite the opposite. I think the equations that described Asymptotic Freedom and launched QCD in 1973 were in fact the last MAJOR discovery in Mathematical Physics; what has followed since has been mostly speculation; speculation that covers the range from very good to Crackpot. Sorry if I misunderstood the point of your post. With that said I also appreciate Wilczek’s work and contribution. Although to be honest if the results of the RHIC experiment had been known prior to 2004 he may have been in jeopardy of getting the Nobel prize as the model for Quark plasma as predicted by QCD was expected to have it having a gas like character, rather than that of the perfect liquid observed As of today there is still not a complete consensus among the community how this is to be totally accounted for under QCD. This perfect fluid like state still has everything as inseparable, rather than the free ranging gaseous state that was expected at such high temperatures (energies) and thus leaves many unanswered questions which some might be addressed with the LHC. I never read the NY Times article you refer to yet expect this is what the further investigations’ at the LHC may be at least in part be about. No Phil, the fault is entirely my own in not being explicit. I will have to expand that blarticle including the points you made. I do find the discovery of Asymptotic Freedom in 1973 by Politzer, Wilczek and Gross among the most outstanding of Human discoveries - indeed possibly too good, as it opened up the Age of Speculation we currently find ourselves in - an age currently coming to a close as the LHC starts banging out proton train wrecks with serious luminosity.